New Balance proudly reintroduces another Made in the UK classic, the CT300 heritage court shoe is available now from Size?, End Clothing and Hannon retailing at £100 per shoe. 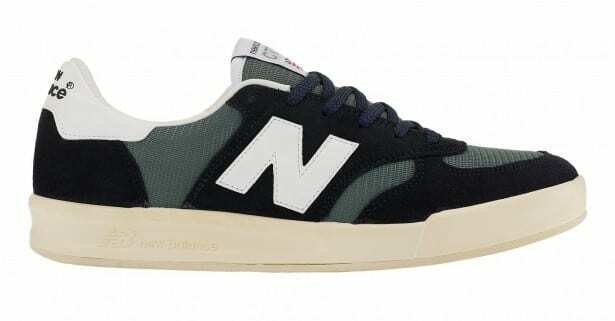 The CT300 is New Balance’s first heritage court shoe. 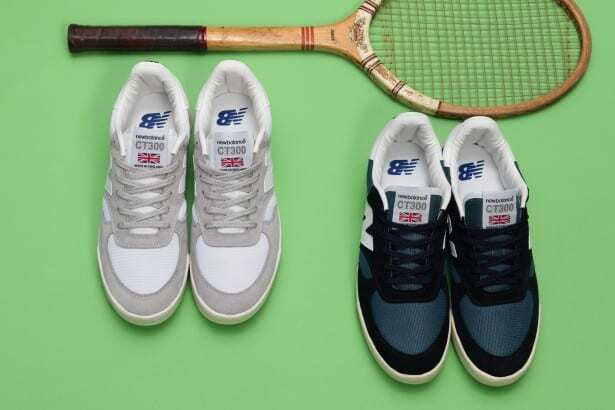 Inspired by the original 80s classic this style pays homage to its retro roots and keeps it traditional with signature New Balance colours, white and navy. Hand-crafted at New Balance’s UK factory in Flimby, the CT300 is the first domestically manufactured court shoe from New Balance and promises the same quality and comfort the brands Made in the UK collections are recognised for globally. Launched in the 80s, the original CT300 was designed as part of a court collection with the help of tennis greats Roy Emerson and Virginia Wade. At the time tennis shoes were normally developed with a focus on the outsole grip but the CT300 was different, it focused on four key areas – Fit, Comfort, Stability and Durability. The development of the shoe was also unique in its day as the shoe encased a gum rubber outsole within a polyurethane core and wall. The unique sole was complemented with a lightweight breathable mesh upper and extended saddle; combined with multiple widths fittings to provide a great base to launch New Balance tennis in the 1980s. The CT300 contains the same technologies as its predecessor, making it an essential for any sneaker connoisseur, these classics are available now from Size?, End Clothing and Hannon.